Throughout my life I’ve had something of a love-hate relationship with cars. As a small child I was fascinated by nearly anything with an internal combustion engine. In later years I’ve come to learn that cars — like computers and employees — can turn on you, even when well cared for. When they run, they can be a genuine delight; but when they don’t they bring their own special version of pergatory to one’s life. To the best of my memory, I’ve used something in the neighborhood of 21 cars, 4 vans, 1 motorcycle, and 2 bicycles to convey myself from one place to another since I turned 16. (You can find most of them enumerated below.) About half of them have been reasonably cooperative vehicles, and the other half at best could be described as vehicles to teach one the virtue of perseverence. Reading through this list one would think that I’ve never done anything to my vehicles but put fuel in them. The fact is, however, I’ve always been something of a fanatic when it comes to maintaining my cars, and I have done so meticulously, at least in terms of scheduled maintenance. Nevertheless, some cars just seem destined to fail no matter what. I have tried to gather pictures of each of the models I’ve owned over the years, but some I didn’t have in my possession long enough even to take a photo. As I scrounge up pictures, either from my own albums or from the web, I’ll post them here. 1962 Mercury Meteor. I suppose every boy’s first car will forever hold a special place in his heart, and the old Meteor was no exception. I only drove it for a few months before the carb went bad in it, and after shelling out a cool mint to have it repaired (my father never did tell me just how much it cost), my father decided we’d be better off without it. It was a black 4-door with a custom red interior my dad made for me (he was a master auto trimmer) and had a rather unique two-speed automatic transmission. I remember it mainly from looking at it admiringly in the driveway, proud to be mobile at last. 1967 Buick Wildcat. 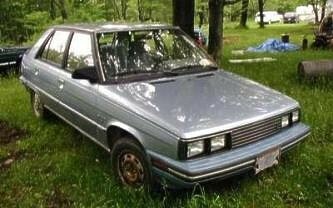 This was really the family car, but I more or less acquired it by virtue of the fact that I drove it everywhere. I kept this one through my freshman year of undergrad, and it was a wonderful car. Forget the fact that it got about two gallons to the mile. With its 430 four-barrell, it would smoke nearly anything else on the road with hardly a whimper. 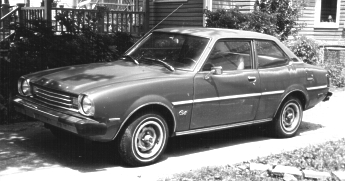 1971 Toyota Corolla. Ugly but efficient, this little puppy got me through undergrad and saw more dates than a Middle Eastern fruit grove. It came complete with a squirrel on a treadmill that could often be heard falling off after a stop. (Never did know for sure what that noise was, but it didn’t seem to hurt anything.) Costing a mere $1600 when my brother bought it new, it was later sold during the Carter gas crunch for almost the same price. People were rather silly back then, weren’t they? 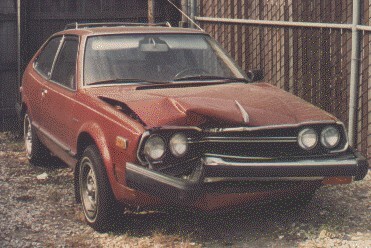 1978 Dodge Colt. This was undoubtedly the most reliable vehicle I ever owned, bar none. My dad bought me this car new in December 1977 as kind of a future wedding present, since I was to marry the following June. 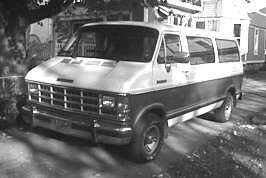 I drove it at least semi-regularly until 1997 when I finally gave it to some friends of ours who were in dire need of transportation. I still saw it tooling around town occasionally for several years thereafter, though much of the body had rusted away and the steering was nearly gone. The engine continued to purr like a sewing machine for ages. 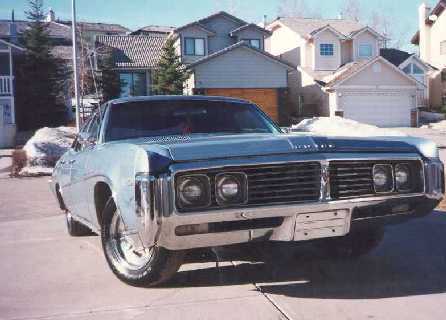 1969 Buick LeSabre. This was actually my wife’s car when we first married, but I drove it a fair amount myself. Never had any trouble with it, except for the air conditioner which never worked the entire time we had it. After trading it we learned that the only thing wrong with it was a loose wire! 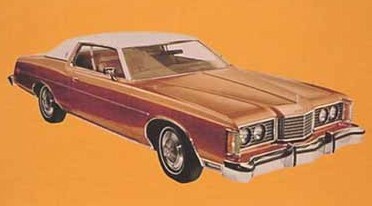 1974 Ford LTD. This was one we inherited from my wife’s family. I suppose I should be grateful for the transportation it provided, but suffice to say it never stole my heart in any way. 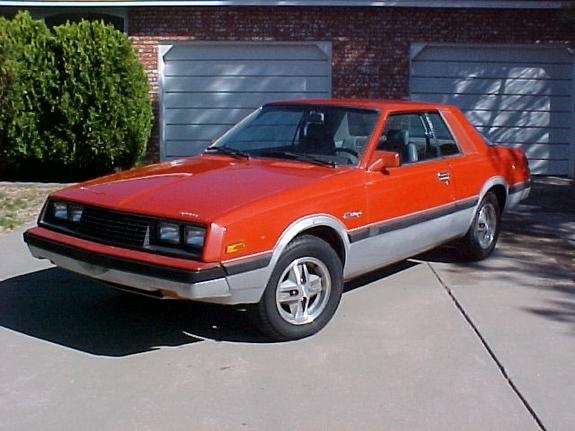 1981 Dodge Aries. The first new car my wife and I bought. She did most of the driving in it, which suited me fine. Vastly underpowered, the poor thing also had the misfortune of getting caught in a terrible hail storm only about a month after we bought it. This one too never captured my imagination. 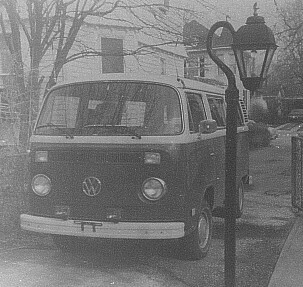 1979 Volkswagen Van. I’m not entirely sure what convinced me that I wanted a VW van during the mid-1980s, but for some reason my heart was set on getting one. I can’t really complain about its performance, but I did grow rather weary of treating my digits for frostbite every winter. 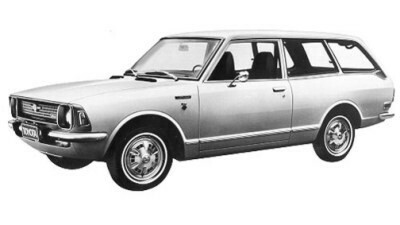 1974 Peugeot 504. Thus began my graduate school days. With this spiffy red Peugeot I began what at times seemed like a car-of-the-month club. Thinking it impractical to drive by myself to university and back every day in the VW van (well, it really was impractical), I thought we’d be better off if I made my 40+ daily commute in something a little smaller and more reliable than the van. I spent the better part of the next two years trying to find that smaller and more reliable vehicle. The 504 was a great car with a wretched transmission. It served me only about two weeks before the gears decided to mesh all at the same time. 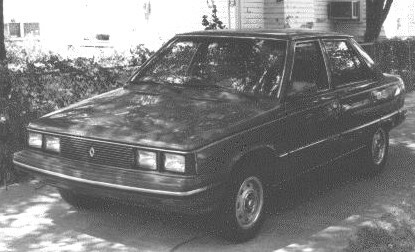 1985 Renault Encore. Many people hated Renaults, and not without good reason. This little fellow was quite reliable, however, never giving us a bit of trouble ... until our nanny tried driving it one afternoon without any oil in the engine. Not even a Lagonda can do that. 1978 Oldsmobile Toronado. Reverting to my high school days and remembering the sheer power of the big GM V-8s, I hopped from the dead Peugeot to the Toronado as my primary means of commuting. I’d forgotten, however, that one is best served with a trailer hitch and an oil rig attached when driving one of these monsters. I also discovered that one of the axels on this car was bent and decided it wasn’t quite as safe as its size would intimate. 1981 Honda Accord. At last I’d found something reasonably priced, good on gas, and very reliable. Unfortunately, after only a few months another driver who’d just dined at Pizza Hut decided to pull in front of me and engage me in my only major accident. No one was injured, but the Accord was totalled. 1983 Renault Alliance. At the time my wife was still driving our little Encore without a worry, and I decided maybe our luck would hold with another Renault. There must be something about French transmissions, though, as its gears pulled a Peugeot on me after just a few months. 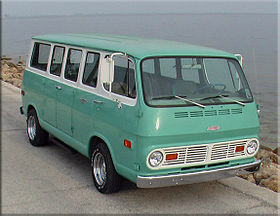 1969 Chevrolet Van. Why another van? Who knows? By this time I was just looking for something cheap and reliable. While it had served its former owner reliably since 1969, it turned on me with a vengeance after only a few weeks — head cracked. 1981 Dodge Challenger. I bought this car for my wife from a neighbor who was perhaps the most fanatical car-maintenance guy I’ve ever known. This baby looked like it just came off the showroom floor, and we’re talking about under the hood as well as over it. Driving back from Indianapolis one day, however, my wife heard a small explosion in the engine compartment and — you guessed it — it was gone. We looked for over six months for another engine, but I think Dodge only imported about 12 of these things. We finally found a new engine about two weeks after we sold the rest of it for scrap. 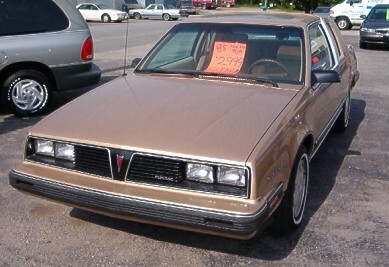 1985 Pontiac 6000. The 6000 became the family sedan somewhere during all this. It must have served us quite well as I don’t remember much about it, other than making a trip to Alabama with six people in it once. It was after that we decided to get a station wagon. 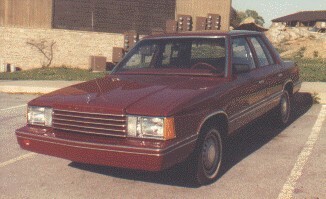 1987 Chevrolet Caprice Station Wagon. Traveling in true family-man style, the Caprice was a good car overall. 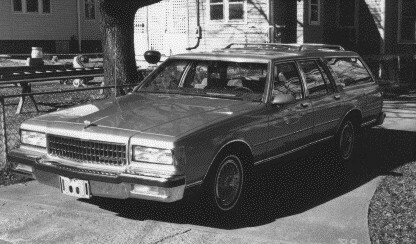 We never had any major repairs to worry about with this one, but the “glamour” of a station wagon eventually wore off. 1982 Harley-Davidson Sportster. The only motorcycle on the list (we won’t count the Binelli mini I owned once for about a month), I bought this to fulfill an adolescent dream. Then one day I woke up. It was a fine cycle in mint condition, but I could never enjoy it the way I always thought I would. 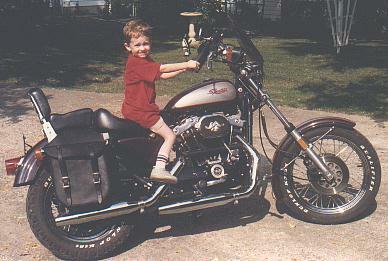 Each time I hit the highway on it all I could think about was my little boys at home and their dad as roadkill. I kept it less than a year. 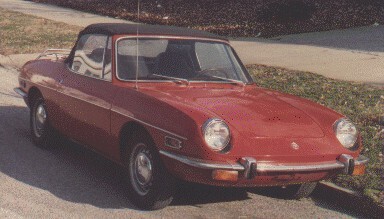 1970 Fiat Spyder. The Spyder was the Harley replacement. I’d traded the cycle for the Fiat plus some cash. I think I drove this imposter for maybe 100 miles before its newly rebuilt engine came apart again. It was a cute car, but that’s about all that can be said for it. I personally think the thing would have performed better (and lasted longer) with a Briggs & Stratton engine. 1990 Mercury Tracer. Not sure where this car fit into all the mix. One of only three cars we’ve ever purchased new, we got it mainly for our nanny to use. She took up payments on it once she left our employ, and I understand it ran very well up until a few years ago. No complaints on this one. 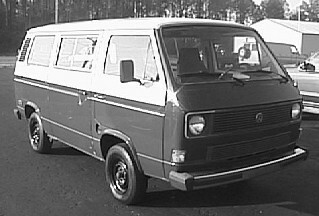 1982 Volkswagen Vanagon. Giving up on the station wagon, we opted for another VW van as our urban assault vehicle. This one was equipped with a mighty diesel engine that could pull anything ... so long as you weren’t in any hurry. I bought it with a blown engine for practically nothing and had the engine and transmission rebuilt, put in a new clutch, new brakes, new tires, new exhaust — well, heck, all I kept was the original body and interior. It really wasn’t all that bad except for the absence of air conditioning and the fact that all the rest of the family as well as most of my neighbors hated it. 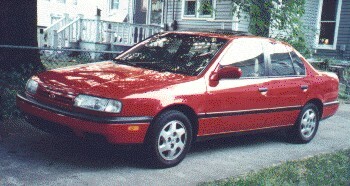 1991 Infiniti G20. My wife’s favorite car. 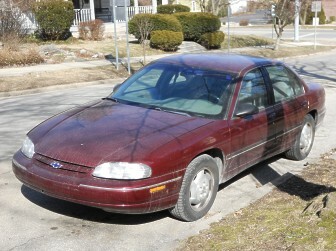 We bought it new in October 1990, and it served us faithfully for a whopping 40,000 miles. I have since learned that some Nissan engines are prone to having a mesh filter in the oil system clog and create undue wear on the engine. While my wife loved this little car, I was rather annoyed not to have gotten but a fourth of the expected life out of it. 1991 Dodge Ram 250. This became our official troop carrier and urban assault vehicle. We bought this in May 1997 and kept it for what seemed forever. For those like me who hate minivans, it was a wonderful family van. During its last few years I used it mainly to haul stuff around town as I didn’t want to look like everyone else and drive a pickup. It finally reached the place where needed repairs would have exceeded its street value several times over, so I (reluctantly) sold it to my mechanic. I think the peasants rejoiced. 1988 Pontiac Firebird. When I traded in my last Volkswagen van (yes, it’ll be my last) I decided on something entirely different — a 1988 Pontiac Firebird. Of all the cars I owned, this one was perhaps the first since those heady days as a teenager with a new driver’s license that actually brought me pleasure in driving — at least while it ran. It was the first sporty car I’d ever owned (we won’t count the Fiat Spyder which gave me a generous 100 miles before expiring), but after about a year it developed a flattened cam and had to be sold to a mechanic who actually could afford to rebuild the engine. 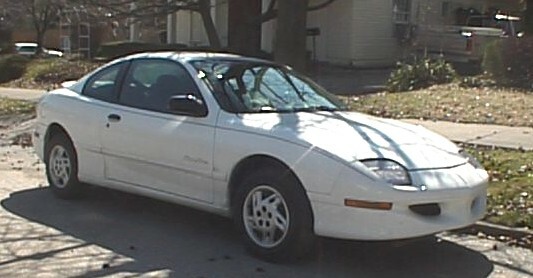 1997 Pontiac Sunfire. 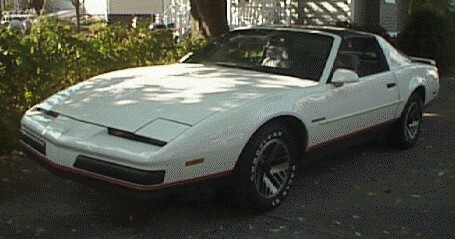 This was my eldest son’s car which we got when he was 16 and shortly after the Firebird bit the big one. It served him all through high school, college, and a few years afterward. Finally tiring of it, he gave it to me. I drove it for several years and had planned to make it my last car, but after it broke down one day when my wife was a passenger, I was coerced into getting a newer vehicle. I gave the Sunfire to a friend in Bloomington, and last I heard it is still running great. In terms of reliability this car ranks very close to that of my old Dodge Colt. 1995 Vokswagen Passat. Originally my middle son’s chariot, it got handed down to my youngest after it continued hemorraging coolant on a perpetual basis. Besides the “normal” electrical problems that are characteristic of VWs and which basically require ceremonial dancing around the vehicle to correct, this car was a major pain in the wallet almost since we got it. If nothing else, it served to convince me never to buy another Volkswagen. 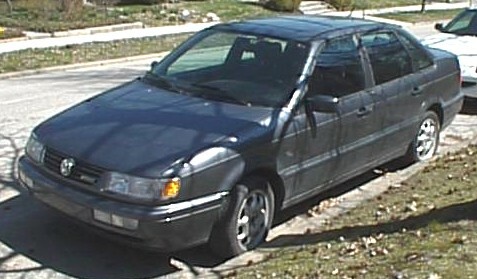 1995 Chevrolet Lumina. This was my youngest son’s car initially. We both liked it a great deal, but after a couple of years of excellent service the thing decided to overheat one day and the head cracked. Hated having to get rid of it as it still looked great, but the repairs were going to cost more than the vehicle was worth. He took over driving the Passat for the rest of his high-school career. 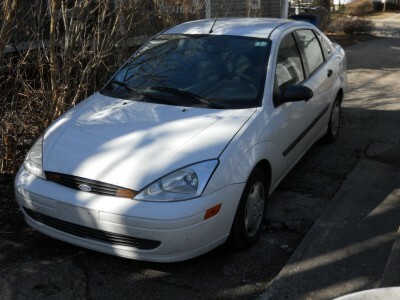 2002 Ford Focus. We got this little puppy for my middle son to commute to college after we tired of having the Passat towed from campus to our mechanic’s shop. It served him reasonably well until he married, and then we sold it to someone in Bloomington. I still see it from time to time. 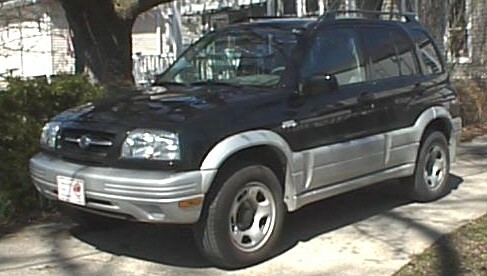 1999 Suzuki Grand Vitara. Our first SUV, this was the replacement for my wife’s dead Infiniti. She rather surprised me by wanting an SUV, but just a few months after we got it we had one of the worst winters in years, so its 4-wheel-drive capability was a definite asset. We had no complaints with this one (though we did have to replace the engine once — but it had many a mile on it at the time) and kept it until she simply decided she wanted another vehicle. 2007 Ford Edge. This was the vehicle my wife fell in love with when we started looking for a replacement for the Suzuki. No complaints thus far, except perhaps to note that we definitely were mpg-spoiled by the much smaller and less thirsty Suzuki engine. 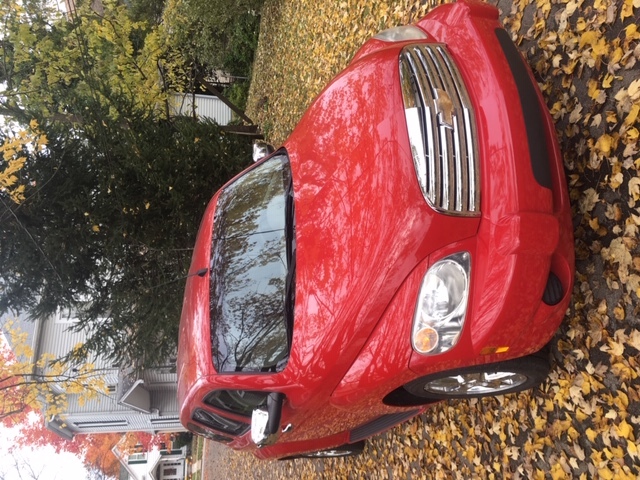 2009 Chevrolet HHR. Although I was quite content to spend the rest of my driving days piloting the ’97 Sunfire, I made the mistake of having my wife in the car with me one day when it broke down. She insisted that I get a new car. I told her that I had someone looking for one for me, but she said that I should go buy something off the lot that day. I really was wanting something smaller, but they had this very nice HHR on the lot with low mileage and an exceptionally good price, so I bought it. Thus far I have been very pleased with it, though it did act as a deer magnet one day shortly before Christmas — no major damage (and the deer survived), but it did make me glad at that moment that I wasn’t in a smaller vehicle.